In preparation for an upcoming tournament, I'll be playing an 1850 point game of Warhammer 40k versus my good buddy Steve tomorrow. 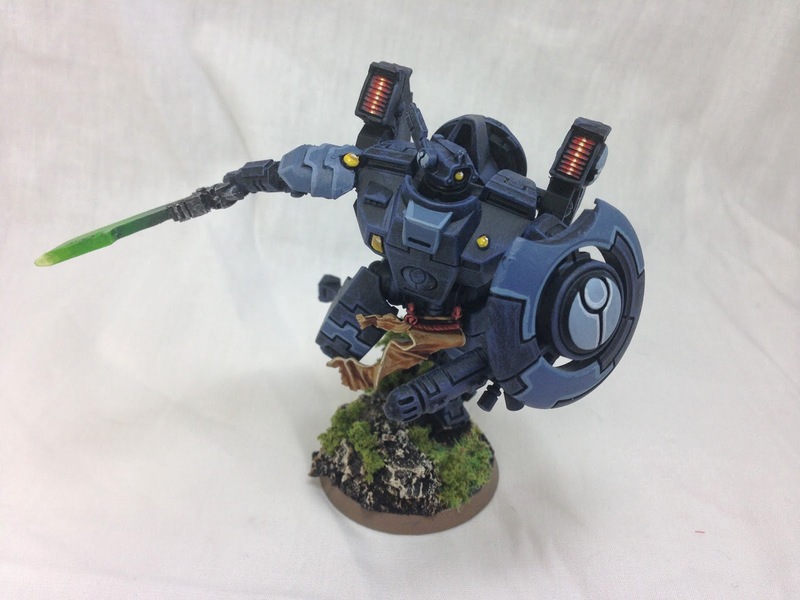 I'm running a Farsight Bomb list with a couple of added units. I usually play only at the 1500 point level, so I had to jazz this list up a little. 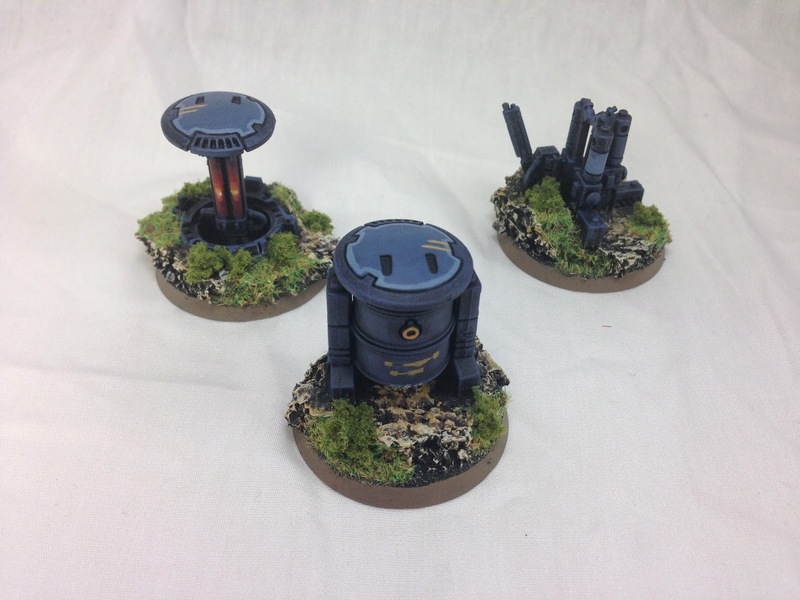 I'm also bringing some custom objective markers and terrain. The Kroothound is also custom. I'm using a 40mm base with some built up basing material and a series of small drones to simulate the Acute Sense rule. I plan on taking pictures during the combat. The larger base is a counts-as Canoptek Spyder. 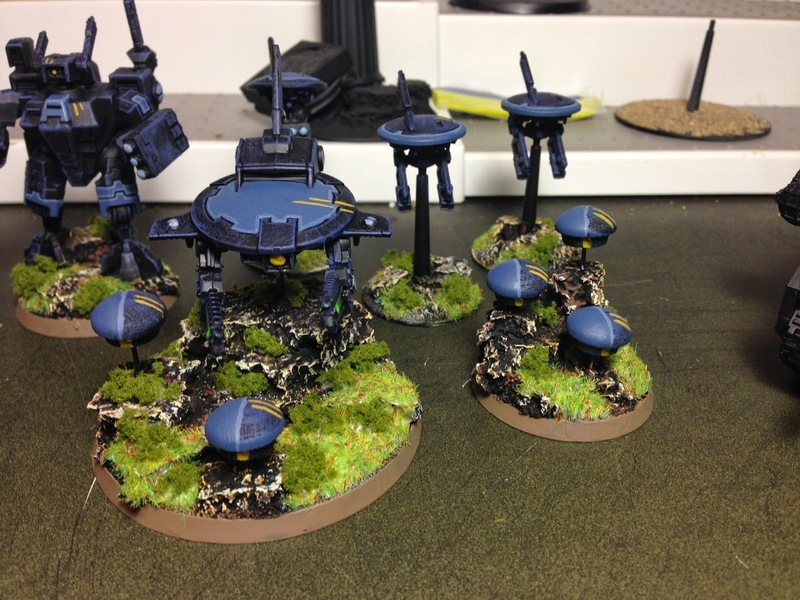 The smaller base is a counts-as Canoptek Scarab base. I'll be using the Scarab base as the counts-as Kroothound. So... it's a counts-as counts-as.